HONOLULU (AP) — The city of Honolulu's chief legal officer received a target letter linked to an ongoing federal corruption investigation sparked by allegations that a now-retired police chief and his former prosecutor wife framed a relative for stealing their home mailbox. The target letter sent to Corporation Counsel Donna Leong is the latest development in the closely watched saga, which has already resulted in indictments against retired Chief Louis Kealoha and Katherine Kealoha, who had been a deputy Honolulu prosecuting attorney. Current and former police officers have also been charged. Prosecutors say the Kealohas orchestrated the framing of Katherine's uncle in an attempt to discredit him in a family, financial dispute. They also accuse the Kealohas of funding a lavish lifestyle by bilking banks, relatives and children whose trusts Katherine controlled. The Kealohas have pleaded not guilty. Twists in the investigation have included foreclosure on the couple's home in an upscale neighborhood, with the house going on the market recently for $1.3 million and a guilty plea by a Big Island firefighter who admitted that he lied to federal authorities about his relationship with Katherine Kealoha. Prosecutors say trysts were funded with money stolen from her grandmother and from a second mortgage she and her husband allegedly fraudulently obtained. 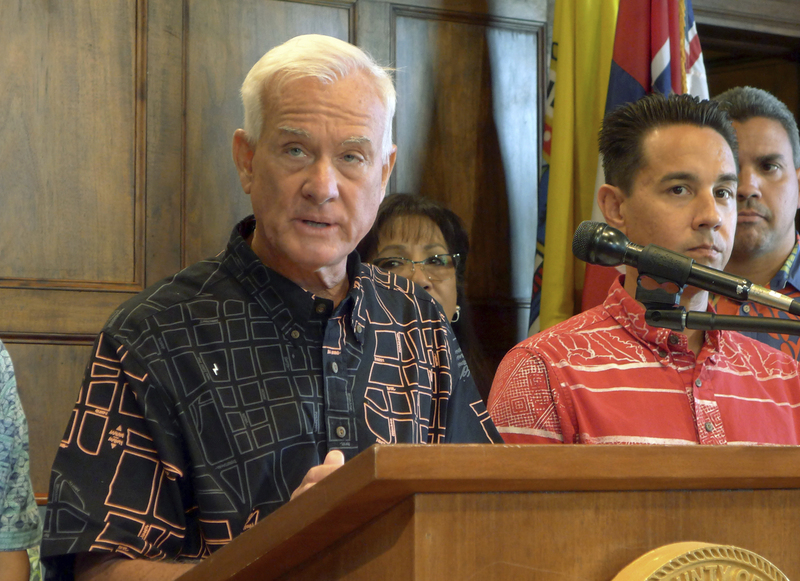 Honolulu Mayor Kirk Caldwell announced Monday that Leong is taking a paid leave of absence. Her annual salary is $165,552. Caldwell said the letter Leong received Jan. 3 from the FBI has to do with the separation agreement she negotiated when Louis Kealoha retired. He agreed to retire after receiving a target letter. Caldwell said he continues to have trust in Leong and hopes that she can clear her name. He said he was saddened and surprised when she told him about the letter as soon as she received it. He said he announced it Monday after giving her time to retain a lawyer. 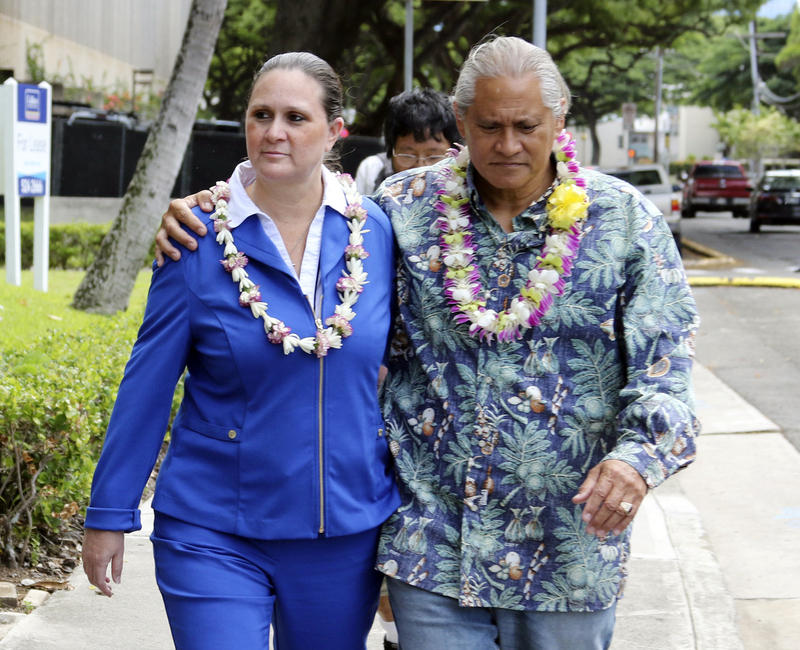 Leong's attorney, Lynn Panagakos, said in a statement the Department of Justice investigation relates to the $250,000 paid to Louis Kealoha under the terms of his agreement to retire. "I believe the evidence will show that this payment was properly authorized and processed," Panagakos said. "Ms. Leong's involvement in this matter was within the course and scope of her duties as Corporation Counsel, and she performed her duties, as she always does, lawfully, conscientiously, and to the best of her ability. I look forward to Ms. Leong being exonerated." A search warrant was served on the city's Department of Information Technology last week, Caldwell said. It was the second FBI raid on the department in recent years. Last month, Chasid Sapolu, Honolulu's second-highest-ranking prosecutor, announced a leave of absence after receiving a subject letter, which is less serious than a target letter. Sapolu said he is not a target of the investigation and has done nothing wrong. Ken Lawson, who teaches criminal law at University of Hawaii's law school, says a subject letter informs you that U.S. authorities believe you have information regarding criminal activity under investigation. A target letter tells you authorities have evidence you committed a crime.